This garden was a feature on the last day of the garden tours during the conference. (There is a post conference day of tours as well as the two days during the conference). This was the most extremely detailed garden with meticulous maintenance. 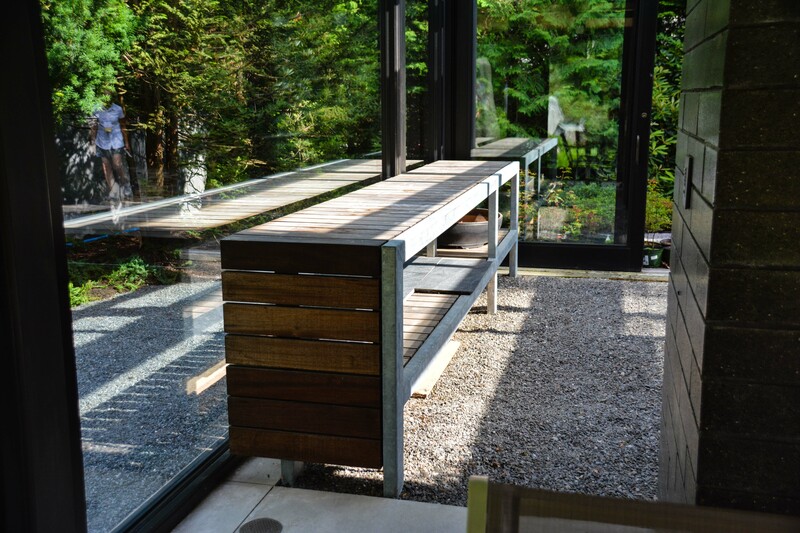 The home on the property is a modernist glass-walled that is nestled into the landscape with a seamless transition between indoors and out. 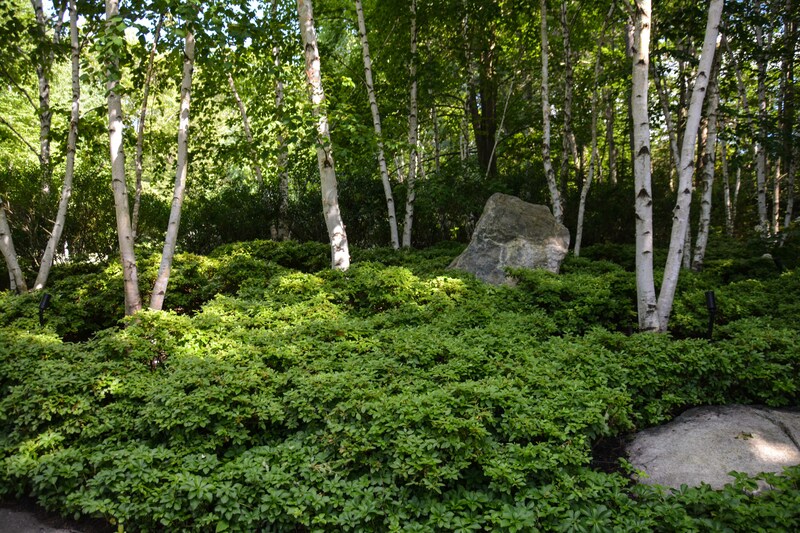 The image above features White Birch dotted with a large stones and a mass of green under-planting of Azalea. 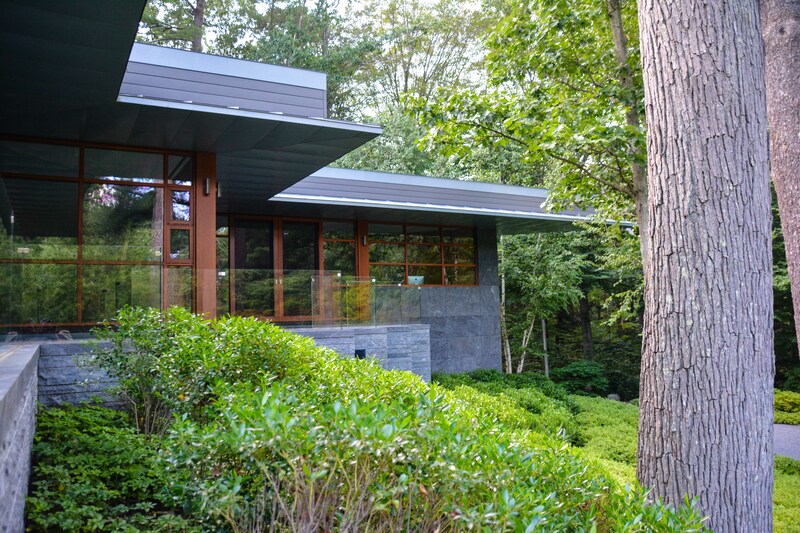 The entrance of the house features 100s of boxwood pruned to maintain their individual spherical domes. 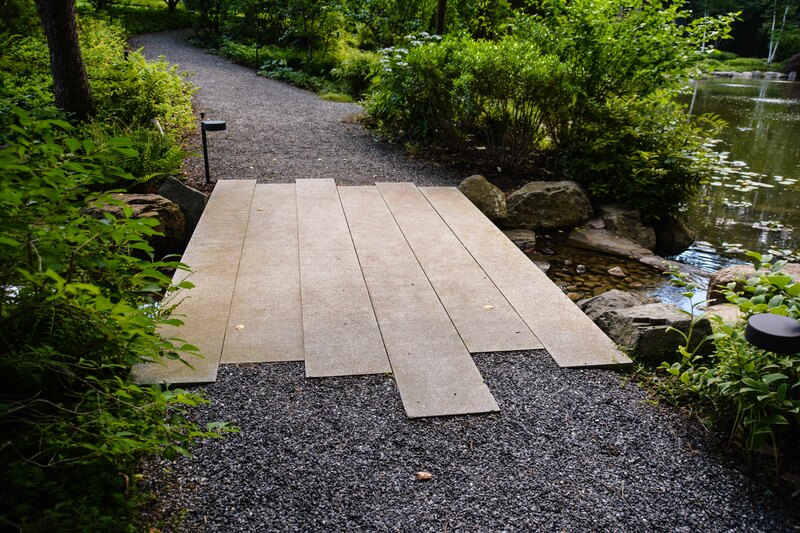 The base color palate of the entire 6 acre property is limited to greens and white with additional tones added by the Black Mist granite and other natural stonework. 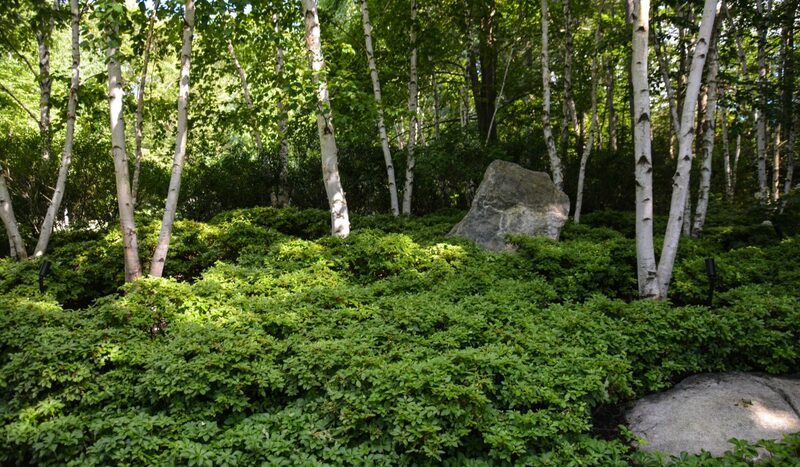 Note the small river rock edging between the boxwood and driveway, which is seen again in the next photo to blend transitions. 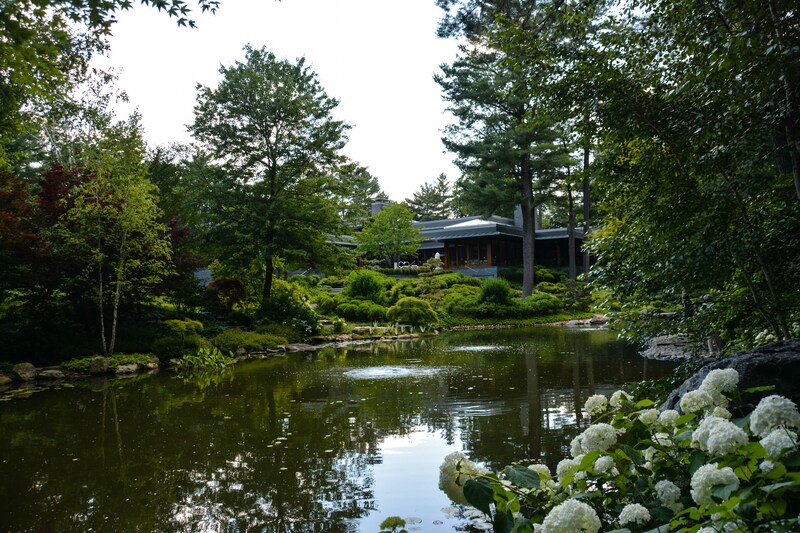 Throughout the gardens are strategically placed conifers / Japanese maple that are pruned and maintained to highlight their unique form and structure. Many of the conifers are place with immense detail among mossy boulders and creeping ground cover. 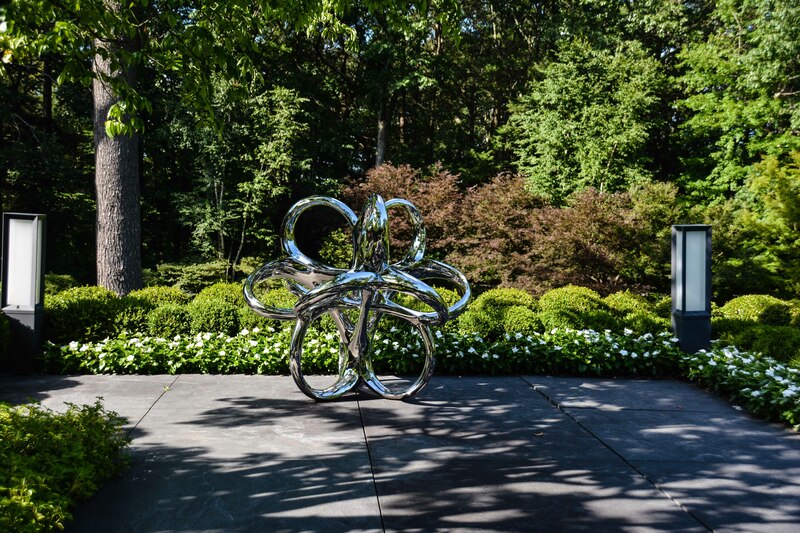 The garden is also home to a collection of contemporary sculpture that is placed intently to draw your eye. 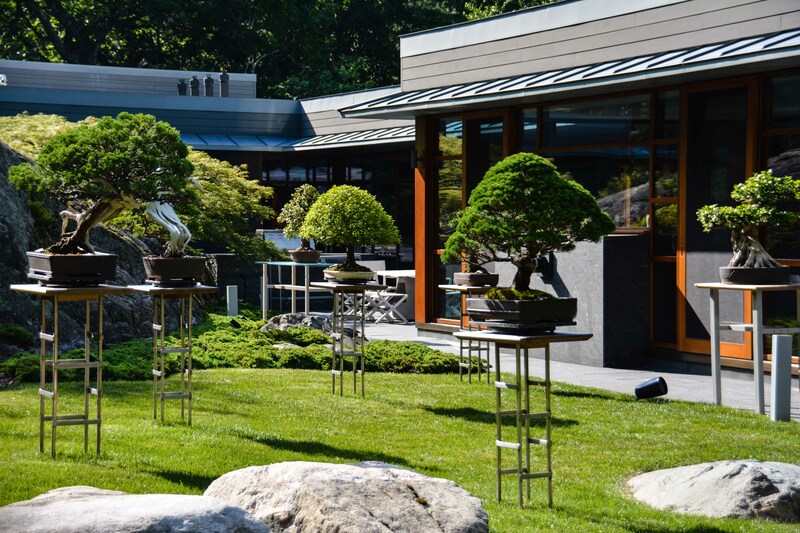 The owners collection of bonsai placed on custom stands that allow the homeowners to view them from inside the home with ease. The bonsai are cared for by a bonsai sensei on a regular basis. Some of the trees in the forest of bonsai are over 400 years old. 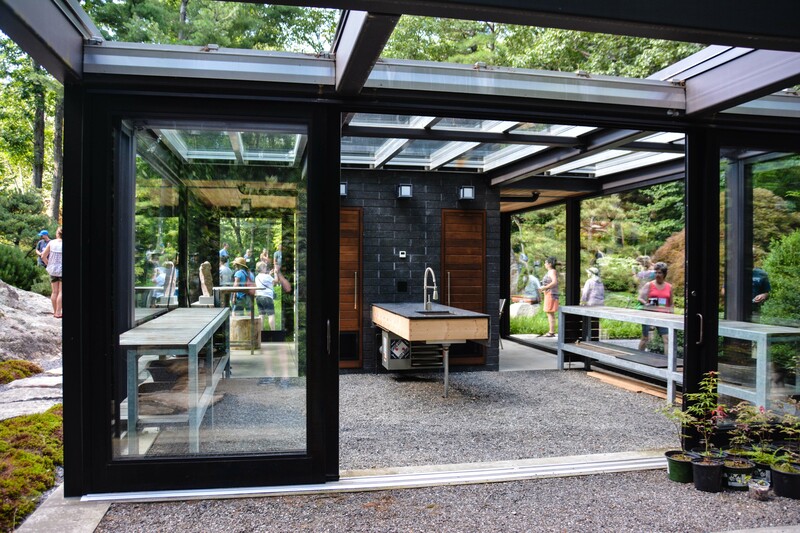 During the colder seasons, the bonsai move into the modern climate controlled bonsai house on the property. In my next life I will have one as well. View back to the house over the 1/2 acre koi pond with three water falls. 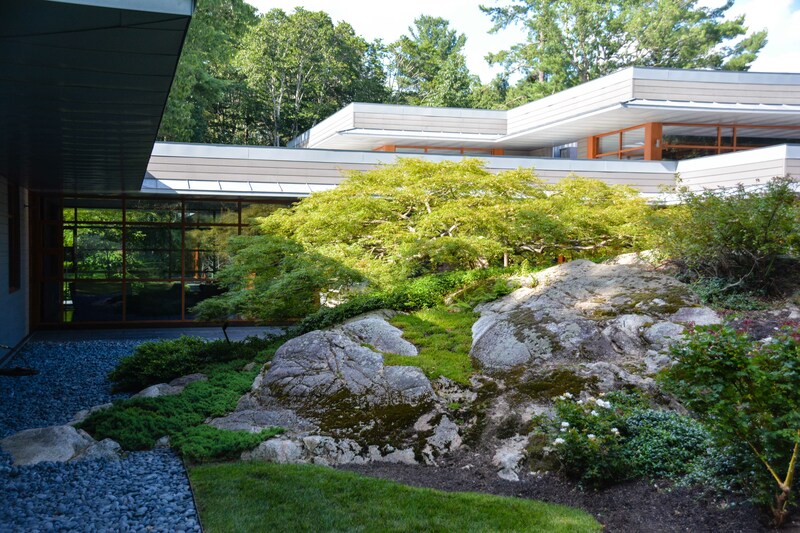 This entry was posted in G A R D E N S, GARDEN DESIGN, Garden Tours and tagged Acer palamtum, APLD Boston, Association of Professional Landscape Designers, bonsai, bonsai collection, Boston, Boston Gardens, Boston Mass, boxwood, cloud pruned boxwood, garden design, garden inspiration, gardening, gardens, Japanese maple, landscape design by Nick. Bookmark the permalink. I loved looking at this site. Nice job. 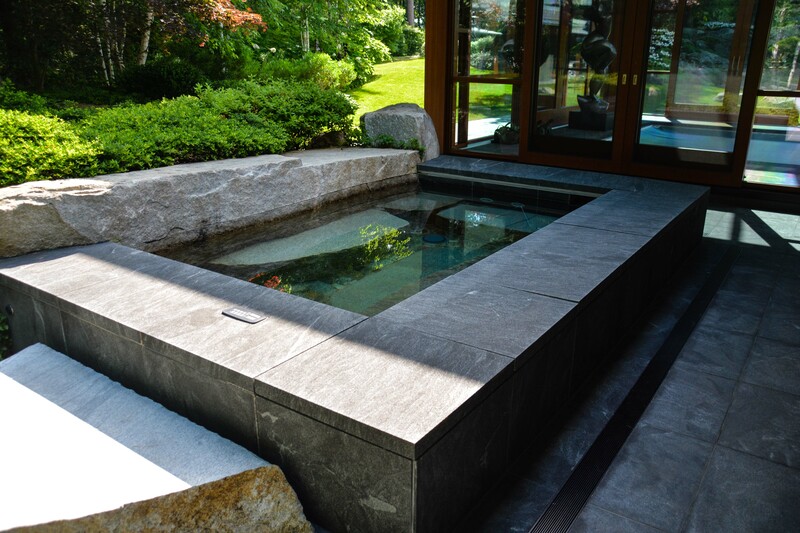 The Weston property you feature is a project i spent 3 years designing and building with my business partner Shin. 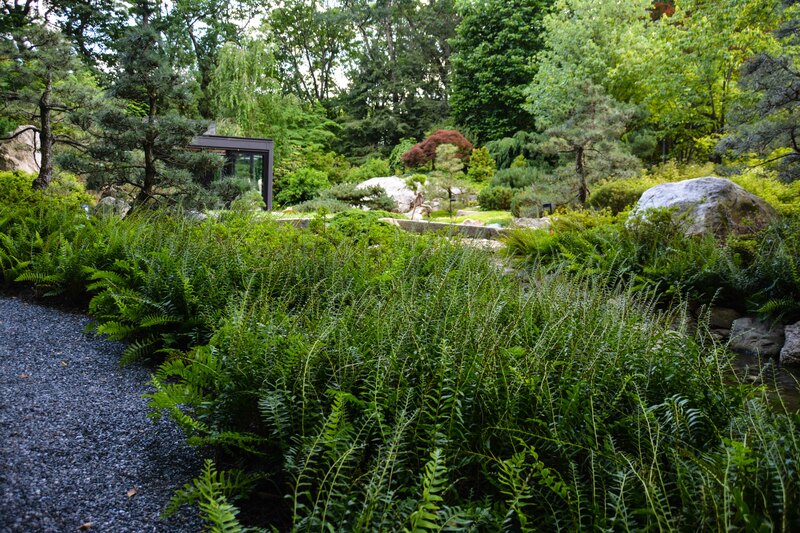 For example the green house, or Bonsai Pavilion, i designed along with the big spa and the overall landscape. I notice you credit Maho Abe as a designer, but Maho is an interior designer and did not work on this project. i am guessing you were on the tour last summer with the landscape group. It was a great weekend to see the property. If you want any details regarding design or the build happy to provide it. pwhite@zenassociates.comKeep up the great postings!